I heard “How Long Is Too Long” online and was immediately hooked. It sounded like a classic Pop song from the 70s but still had some production touches that told me it was 2013. It ended up it was written by a young Swedish band along with Duncan Faure (Bay City Rollers and Rabbitt) I found the website for La Fleur Fatale and watched the trailer for “The Second Wave” (full film is in the bonus materials area) and immediately requested an interview. Since the release of our debut album in 2007 we have apart from releasing another album and two digital EP’s, participated on the biggest morning show on Swedish national TV, had our music in a major tv channel launch in Sweden (TV4 Sport) and reached over 200 million people in a variety of syncs (Discovery, Six Flags, American Airlines etc.) and we have toured the UK, US, Germany, The Netherlands, Sweden and Norway. La Fleur Fatale: Kristian compose the music, David write the lyrics, and then everybody makes the song sound La Fleurish that we record in our own studio, White Light Studio, in our hometown Linköping. La Fleur Fatale: That we are make music that we really love and we find it really nice that there are people around the world that like what we’re doing. OSW: Tell us about the film “The Second Wave” and how did the collaboration with Duncan Faure (Bay City Rollers) and the other artists come together. La Fleur Fatale: After our first visit to the US when we did a couple of shows in NY we felt that we really wanted to go back, and luckily our label man, Papa Bear, had a plan on how to make that happen. When we got back home he started to prepare what would become The Second Wave. And also the trip of our lifetime. Papa had an idea about how to connect the past with the present both spiritually, musically and politically. In a road trip format. Together with him, the editor and camera guy Gustav Skogens and two other camera guys we drove all over California during two weeks spring 2012. One year later it was done. We met Duncan while in Las Vegas while filming and he wanted us to record a song he’d written. We liked it and started to record it when we got home from US. We tried to make it sound like a La Fleur Fatale production and Duncan really loved it. It was the other way around with the Ebbot collaboration. We made a song that would suit his voice but he came up with the idea that Alexander’s voice should lead and that he himself should be doing the great answering vocals. He also did some backing vocals, played a guitar solo and had (some) wine. La Fleur Fatale: They often take a long time to write but when you do a long playing album you sometimes have to make that long time in a short period of time. OSW: Much of your sound goes back to the 60’s psychedelia. Have you guys always been interested in that style? 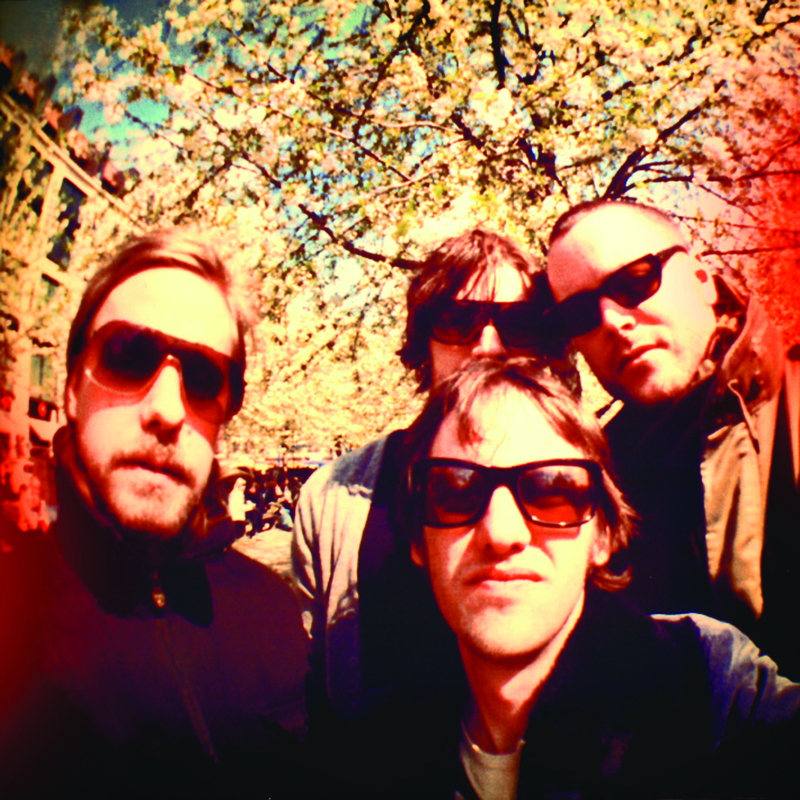 La Fleur Fatale: We’ve been listening to British 60’s psychedelia since our late teens along with a few american bands. La Fleur Fatale: “Beat on the Brat” with The Ramones. La Fleur Fatale: Only make music you like with people you like. La Fleur Fatale: Syd Barrett, because next to everything he wrote was brilliant and you can’t really get the answers of your questions in reading about him. They include the just released “Beautiful Stranger” video, the full length documentary and much more! This entry was posted in Interviews and tagged Bay City Rollers, Duncan Faure, Ebbot Lundberg, interview, La Fleur Fatale, Lyrics, Music, Rabbitt, Songwriter, Songwriting. Bookmark the permalink. Thank you. I thought you’d like these guys a lot. You’re right, Ebbot and crew definitely have influenced them. Glad you got to check them out!